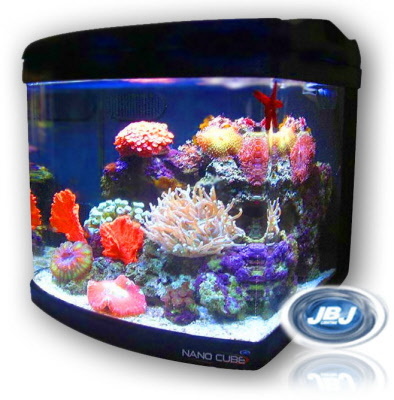 Make a splash with the 12 Gal JBJ NanoCube DELUXE MT-402 tank! Great for freshwater or saltwater. The deluxe version of the nano cube contains two power compact lights inside a fan cooled hood. If you are looking for something a little stronger, go ahead and check out the LED versions which come in a few different models with increased lighting to illuminate your fish and corals. NANO CUBES feature fans to keep your hood cool! 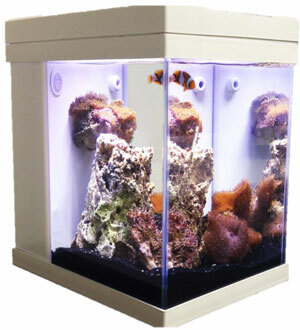 The 12 gallon JBJ NanoCube Aquarium Stand. 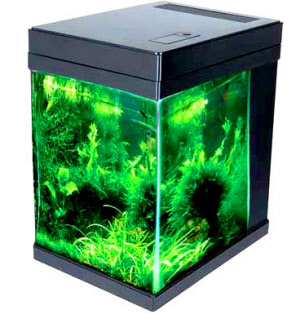 The perfect stand to complement your sleek JBJ NanoCube aquarium.